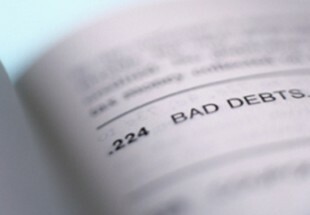 Can you request debt validation after a debt collector filed lawsuit? Can you request debt validation after a lawsuit? Question: First, thanks for all the great information throughout your site!! I’ve read all your into about validation. I have been sued by a junk debt buyer – they are the fifth buyer – and they have provided a “Bill of Sale” from the original creditor and each successive buyer. Of course my name and account number are not actually included in any of the bills of sale. There are also some discrepancies on Executed dates and File Transfer dates. I have filed an Answer to the suit but didn’t send a letter requesting validation as I assumed the validation is being done through this suit. Is there any point in sending a validation letter now? I am filing a motion to strike the Bill of Sale documents as hearsay but would like to know if they are going to be able to beat that by just showing the basic “verification” you’ve mentioned? Any suggestions on other ways to proceed? Answer: Legal Disclaimer: I am not an attorney, legal or debt expert and I am not providing any legal advice. You would be better served by seeking legal advice from a licensed attorney. I will however, offer the following information. The time for debt validation is over. However, I believe you are actually in a better position to demand the strictest proof you owe the debt now that a legal proceeding is in progress. Original signed credit contract which is connected to the “bill of sale” they provided. The “bill of sale” has to be connected to some original documentation that would prove you owe the debt. Request the terms and conditions, credit limit and the amount of credit received by you under the original credit contract. Ask if the plaintiff has the original written agreement pertaining to the “bill of sale” from the original creditor, if so, request they produce it for your examination. Request the application evidencing you applying for and receiving a credit account from the original creditor and bearing your signature. Written agreement evidencing the terms and conditions and bearing your signature. Itemized calculation of the debt at issue in plaintiff’s complaint, to include principle, interest, fees, charges and credits from the date plaintiff purchased the debt. Request they admit they do not have a copy of or the original agreement. Request they admit they do not have the agreement to claim the amount requested in the complaint. You see where I am going here. The discovery questions are different but request the type of strict proof only contracts and agreements from the original creditor can provide. The discovery process can be your debt validation. Now be careful what you ask for, you just may get it if the junk debt buyer is willing to go to the original creditor and pay for the supporting documentation. But most are not. Junk debt buyers are in it for a quick buck. They do not want to put a lot of time and work into pursuing a debt. The “bill of sale” attached to the complaint is shaky proof; at best, that you owe the debt. If you push back and demand more, the law is on your side. Keep up the good fight and the best of luck to you.